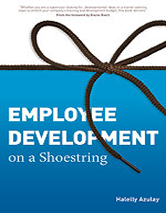 A handy tool kit for any employee developer, this book provides templates and detailed guidelines to help busy managers develop their workforce in a way that is tailored to each employees strengths, development needs, and constraints without breaking the bank. How Does It Benefit the Learner? What Competencies and Skills Can It Develop? What Is a Rotational Assignment? Who Should Try Job Rotation Assignments? How Does a Rotational Assignment Benefit the Learner? How Does a Rotational Assignment Benefit the Organization? What Is a Stretch Assignment? Who Should Try Stretch Assignments? How Do Stretch Assignments Benefit the Learner? How Do Stretch Assignments Benefit the Organization? What Competencies and Skills Can Job Rotation and Stretch Assignments Develop?